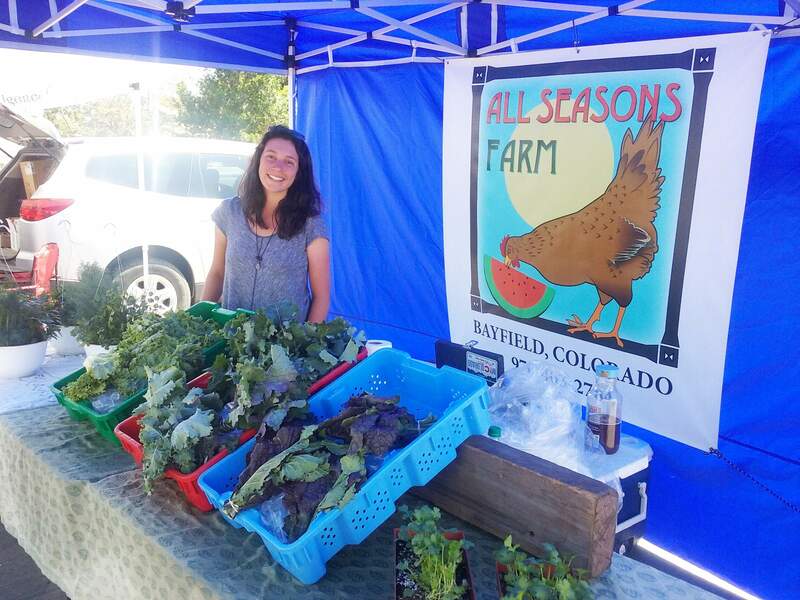 Aly Kellogg is a farmer with All Seasons Farms in Bayfield. All Seasons Farm in Bayfield is mostly known for the tomatoes and asparagus it grows in its big, heated greenhouse. But those are just two of the things farmers are producing in their fifth season, said owner Gabe French. All Seasons’ offerings are expanding, though, said Aly Kellogg, who raises poultry on the farm with her partner, Will Goodwin. “This is our first year with pasture-raised chickens,” she said. “He’s got a bunch of hens that are about to start laying, so we’ll have twice the amount of eggs we had before. “We’re putting in a commercial kitchen, so we can do value-added stuff, like pre-made salads and cantalopes and stuff like that at the market,” French said.